A tour highlight is stunning Glacier National Park with its pristine forests, rugged mountains, alpine meadows, and gorgeous lakes. You’ll board a vintage 1930s red Jammer bus and drive along the Going-to-the-Sun Road, one of North America’s most spectacular roadways. Hugging the mountainside, you’ll witness breathtaking scenery along the way. Words and photos cannot capture the beauty-you must witness it in person! More scenic beauty awaits you in Coeur d’Alene, where you’ll enjoy a cruise on the picturesque lake; in Mount Rainier National Park, where you’ll witness breathtaking views of its 14,000-foot peak; and in Hells Canyon, North America’s deepest river gorge. With more than 200,000 acres of high mountain peaks, ominous canyon rim-rocks, breathtaking vistas, and incredible wildlife, Hells Canyon is nothing short of spectacular! Here, you’ll enjoy a cruise as well as a BBQ lunch along the river-a special experience offered by Globus. But that’s not all…you’ll also witness breathtaking scenery on your 7-night Alaska cruise. 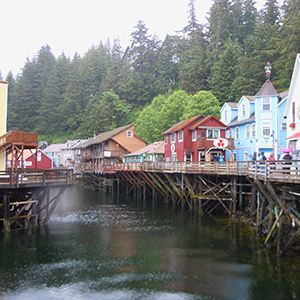 Marvel at the slabs of ice breaking off into the sea and enjoy visits to Juneau, Sitka, Ketchikan, and Victoria. 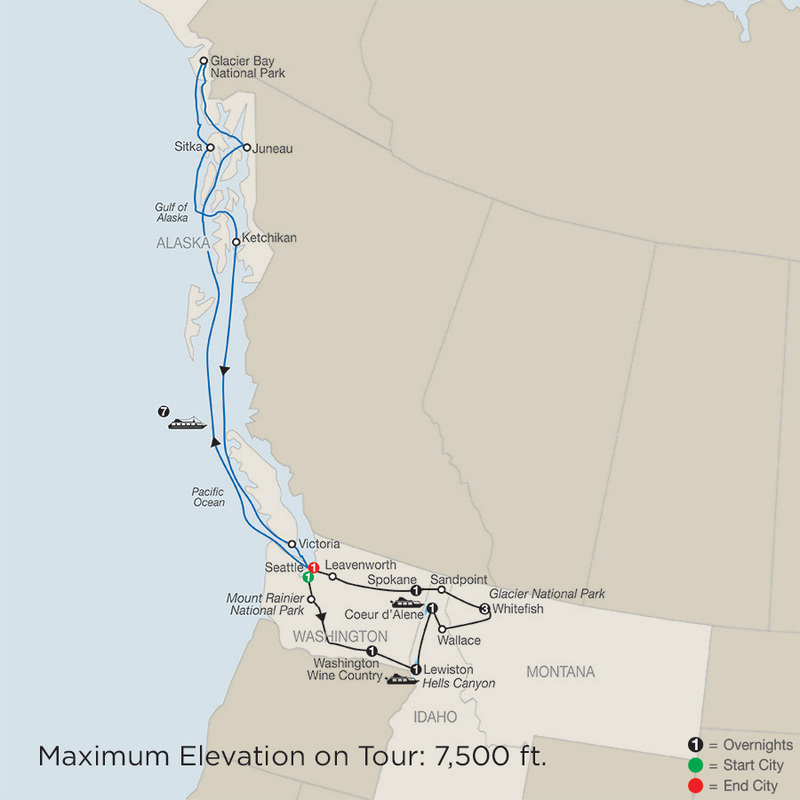 This is just a sampling of the many highlights offered on this tour through Glacier National Park, Hells Canyon and Washington’s Wine Country-with an Alaska cruise.